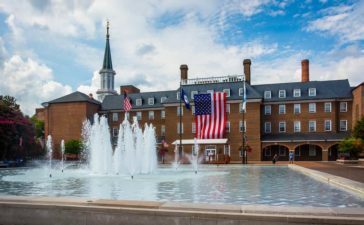 To see more events happening around Alexandria, Virginia, click this link. To get your event added to our calender, click this link. Story time @ The Alexandria Library – See the calendar for times and locations around Alexandria. Beatley Library book sale PREVIEW – Thousands of books, CDs, DVDs and more will be available for sale. This preview is for members only. Membership can be obtained at the door for ten dollars. All proceeds benefit the Friends of Beatley Central Library. Located in the Large Meeting Room. Happy Hour specials in Alexandria – See the calendar for times and locations. 50 cent wings @ The Rock It Grill – Get 50 cent wings at The Rock-It Grill with the purchase of a beverage. Dine-in only. Coffee with APD Chief Earl Cook @ Duncan Branch Library – Join APD for coffee with Alexandria’s Chief of Police. Police Chief Earl Cook will meet with citizens for a community meeting. Refreshments will be provided. USAF Chamber Concert @ The Lyceum – USAF Band Chamber Series at the Lyceum. Music for Soprano, Clarinet and Piano, featuring the Felsen Trio, TSgt Mandi Harper, soprano and TSgt Sara Wollmacher. One Week to #Spring2Action in Alexandria – What if we all gave on one day?